The most common skeletal complication of breast cancer is osteolytic bone metastasis. Bone metastases are present in 80% of patients with advanced disease and cause significant morbidity. They are most often osteolytic, but can be osteoblastic or mixed. Tumor cells, osteoblasts, osteoclasts and bone matrix are the four components of a vicious cycle necessary for the initiation and development of bone metastases. Tumor cell gene expression is modified by interaction with bone-derived factors. For example, parathyroid hormone related protein (PTHrP), a tumor cell factor, is upregulated by bone-derived transforming growth factor β (TGFβ). Tumor cell factors, in turn, act upon bone cells to cause dysregulated bone destruction and formation. PTHrP increases osteoblast expression of RANK (receptor activator of NFκB) ligand which, in turn, activates osteoclasts. PTHrP-independent osteolytic factors, such as interleukin [IL]-11 and IL-8, also contribute to the vicious cycle. 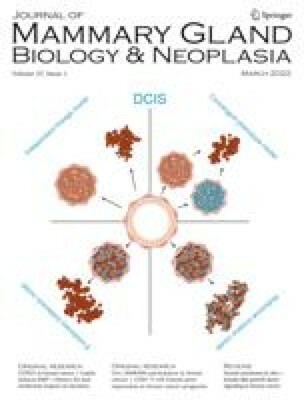 Other tumor-bone interactions, such as stimulation of tumor-homing through the CXCR4 chemokine receptor by its bone-derived ligand stromal-derived factor-1 (SDF-1), may be responsible for the site-specific predilection of breast cancer for bone. These factors and their roles in fueling the vicious cycle may identify novel targets for therapies to prevent metastasis.